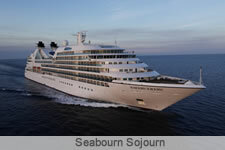 Seabourn is a small-ship luxury cruise line, owned by Carnival Corporation, which caters to those expecting a high level of quality and service in a yacht-like atmosphere. The onboard experience is focused on an intimate and personal ambiance, with nearly one staff member per guest, hand-picked and trained to anticipate not only the needs of the guests, but also extra touches to surprise and delight them. The fleet consists of two styles of ships. The Seabourn Pride, Legend and Spirit, 10,000 tons and carrying just 208 passengers, are among the most intimate luxury ships in the cruising market. Like most yacht-type vessels, the cabins have either a large picture window or French balcony, instead of a balcony with outdoor seating. 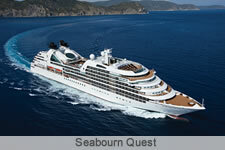 The younger trilogy, Seabourn Odyssey, Sojourn and Quest, are about 32,000 tons and carry 450 passengers. Significantly larger than their predecessors, there is ample space onboard for a larger spa, spacious open deck and pool areas, additional dining venues, and roomy 300 square ft. standard cabins. Private balconies and expansive suites are plentiful. 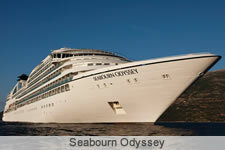 Similar to other luxury cruise lines, the pricing is all-inclusive and no gratuities are expected. Guests can expect open bars throughout the ship, and fine wines poured at lunch and dinner. Champagne and a mini bar stocked with soft drinks, beer, mineral water, and ones favorite wines or spirits are complimentary in each and every suite. From casual to elegant, indoors, or al fresco, passengers have many choices in dining. 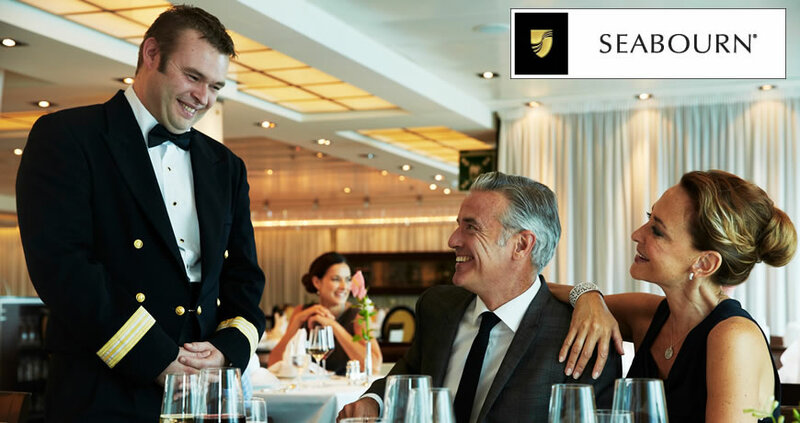 Each Seabourn ship offers a choice of restaurants, and nearly all are open-seating, allowing guests to dine where, when and with whom they wish. Dining and evening socializing is the entertainment of choice onboard Seabourn ships, however, shows and cabarets are presented in the main show room and smaller lounge. Movies under the stars are shown on the wind-protected Sun Deck at least one evening on virtually all cruises as long as the weather permits. The library has a large collection of books as well as movies that can be watched in ones suite. Popcorn will naturally be delivered with a call to room service! The Dress Circle Series enrichment program features guest appearances by top names in the arts, literature, politics, and world affairs. During Chefs Circle sailings guest can cook with some of the worlds most renowned chefs. Yet the best part is that due to the size of Seabourn ships, passengers have the opportunity to mingle with presenters and interact one-on-one. 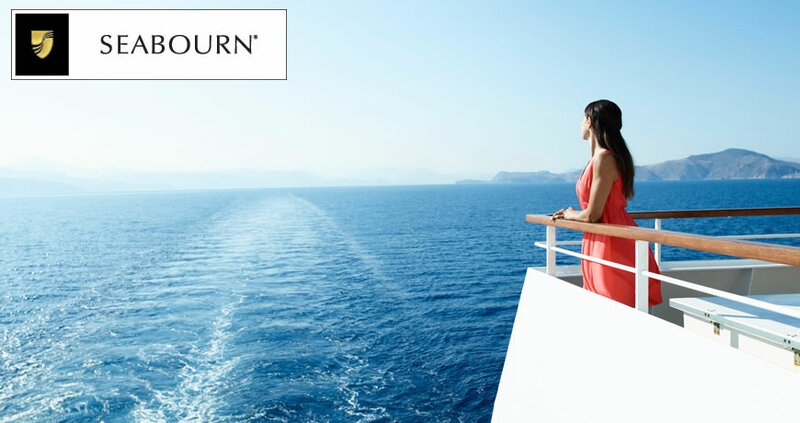 All Seabourn ships have retractable water sports marinas that unfold from their stern, allowing passengers direct access to the sea for water-skiing, windsurfing, sailing, snorkeling, banana-boat riding, kayaking, and swimming. Its used, weather and sea conditions permitting, on special marina days when at anchor, and during beach parties ashore on select cruises. 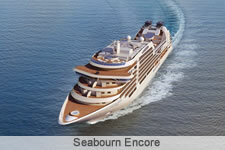 The world becomes more intimate and more enchanting when traveling with Seabourn. Each cruise is a hand-picked collection of fascinating places, and each day brings a new opportunity for authentic discovery. 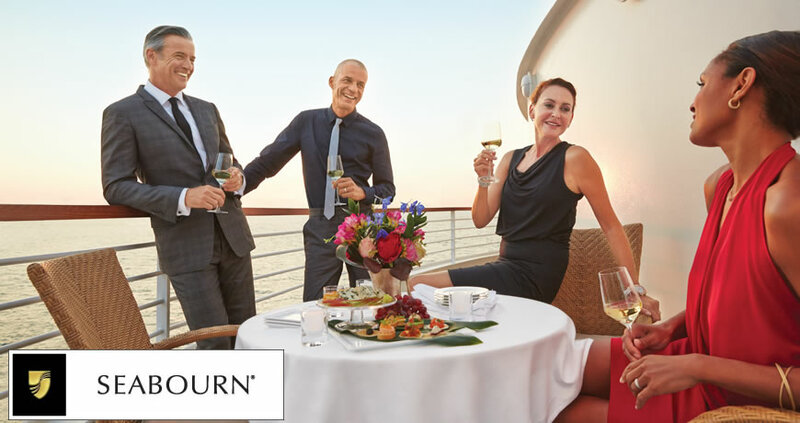 If this is the way you see yourself cruising the world, Seabourn invites you to join their close-knit community of like-minded travelers gathering peak experiences day after glorious day!